Letterhead Style 5 that can be selected to make your own free letterhead, there are many different styles you can choose from, the style example below is one of many that you can choose from. These letterhead style examples would certainly benefit from changing various aspects to optimize the appearance of each style of the letterhead. We didn't want to do that, we wanted these examples to have the same characteristics making it easy to pinpoint the differences between the letterhead styles. 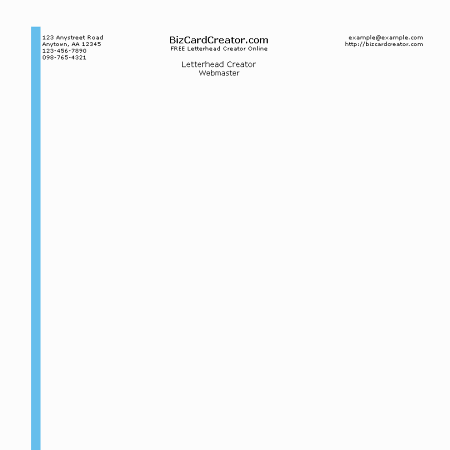 The image above is style example 5 of the BizCardCreator Free Letterhead Creator style examples.